Let me start with a statistic. Market research company, Forrester Research, have found that 47% of B2B firms say they either close fewer than 4% of all marketing-generated leads, or they don't even know this metric at all. While your marketing efforts are always going to need scrutinising in this scenario, it is just as important for the sales team to look at their own efforts too. This reflective process for the sales team needs to start with the exploratory call they have with leads. As you will know, every exploratory call has the same objective - learn how you can best help your prospect with your products or services. 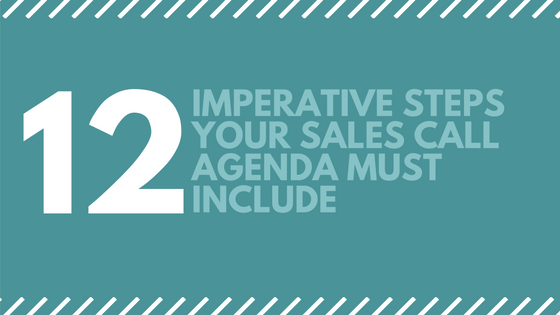 To do this effectively, I've worked with Andrew in our sales team here at Katapult to list twelve imperative steps your sales call agenda must include to ensure you're learning everything you need to about your prospect. How many of these do you do already? Going straight into 'presentation mode' isn't what building rapport is all about. Through your marketing processes, the prospect would have already flagged a challenge that they would like solving. Instead of going straight into the sales pitch, listen, and become the prospect's problem-solver instead. Andrew's tip: It’s important to come across as a real person, not a sales robot. Prior to a call, I research my leads on LinkedIn to uncover any mutual connections or hobbies I can relate to – anything that helps alter the prospects mind-set that I am just a ‘salesman’. You're not going to introduce yourself, build a rapport, and start selling solutions to your prospect in the same call - so pace yourself and schedule another call at another time. Use this time to see what solutions really fit what the prospect wants. Once it comes to the follow-up call, remember to go back over what you learned from your first call to give perspective and show an understanding. Andrew's tip: Remember this is an exploratory call; whilst you want to let the prospect do as much of the talking as possible, you need to explore and find their pain before you can offer your product or service as a solution. Just like proactive face-to-face meetings, scheduled phone calls can really benefit from an agenda. Whether this agenda is given over the phone or on a separate email, this will help steer the conversation, giving you the information you need in a short time frame. Andrew's tip: I like to send an agenda over in an email prior to the call. Not only does it set expectations, it also offers me an opportunity to control the conversation if the prospect starts to side-track. People generally don't make changes unless they have a challenge that impedes their progress. It's important to listen to the prospect, make sure you understand exactly what their challenge is, and empathise with their position. Andrew's tip: Once you have uncovered a challenge that a prospect is facing, try to dig a little deeper. “Can you be more specific? How long has this been a problem? What are the consequences of this challenge not being addressed?” By digging into a challenge, you can start to create urgency around finding a solution. You now understand the challenge that is stopping your prospect doing their job, now is the time to ask about their goals. While many B2B firms will simply say they want to "make more money", "save money", or "avoid risk", it's important to drill down and find out exactly what numerical values these goals have. Andrew's tip: If a prospect is unable to give you a commercial goal or clearly defined business objective, it is unlikely that you are speaking to the person with authority. If a prospect doesn’t have the answer, don’t be afraid to ask them who does and set about involving that person in the sales process ASAP. Prospects come to you for advice and expertise. Be confident in questioning their existing plans, and why they believed that this approach would work. Understanding their plans in detail allows you greater insight into how your company fairs against potential competitors, for example. Andrew's tip: Challenging a prospect's existing plans requires confidence, but it will earn you the respect of the prospect. Artfully challenge their plans by asking the right questions and lead the client to self-identify the gap that needs to be filled in their marketing efforts. I'm sure many prospects will want to achieve their goals "as soon as possible" but without a realistic time frame set-up, it's going to be hard for you to work with them. Ask about a clear timeline and don't be afraid to comment on whether it is simply not achievable. Andrew's tip: If a prospect has no timeline or no key date by which they need to work towards, then you need to create urgency by revisiting their challenges and emphasising the implications of not addressing them. Without urgency, the sales process will inevitably grow stagnant. Remember, you're here to offer solutions, some may work, some may not. It's important to not leave the prospect thinking that your solution is 100% bulletproof. Also, some sellers confuse challenges with consequences, such as "I could be out of a job if this doesn't work". It's important to differentiate these. Andrew's tip: Be yourself, be confident. Don't focus on the negative too long though. Highlight the 'next steps' if this solution you've suggested works. This not only offers optimism for your prospect, but gives you insight into how you can help in the future. Andrew's tip: Same as above! Be yourself, be confident. Once you understand goals, challenges, plans, timelines, consequences and implications, you can then begin to ask about who the key decision maker is in the business. Question whether the senior management team need to be involved, making it easier to get sign-off on your solution. Look at the budget from their point of view, not yours. From this figure, work out what solution would work best - including any execution costs you would need to be charged. Already you should have had the conversation as to what their goal is, so working out a basic ROI figure can help confirm a budget with them. Andrew's tip: Budget is always a tricky one. If budget is identified as an issue at this stage, you will have to make a decision based on all the information that’s been gathered and assess whether a prospect’s budget issue is completely prohibitive - or whether it’s a stumbling block that can be overcome by demonstrating ROI. If it's the latter, try to demonstrate ROI using the goals the prospect has already given you. The final step is getting commitment. Whether you need an email confirmation, or a contract signing to make this happen, this is the key part of getting that prospect over the line. 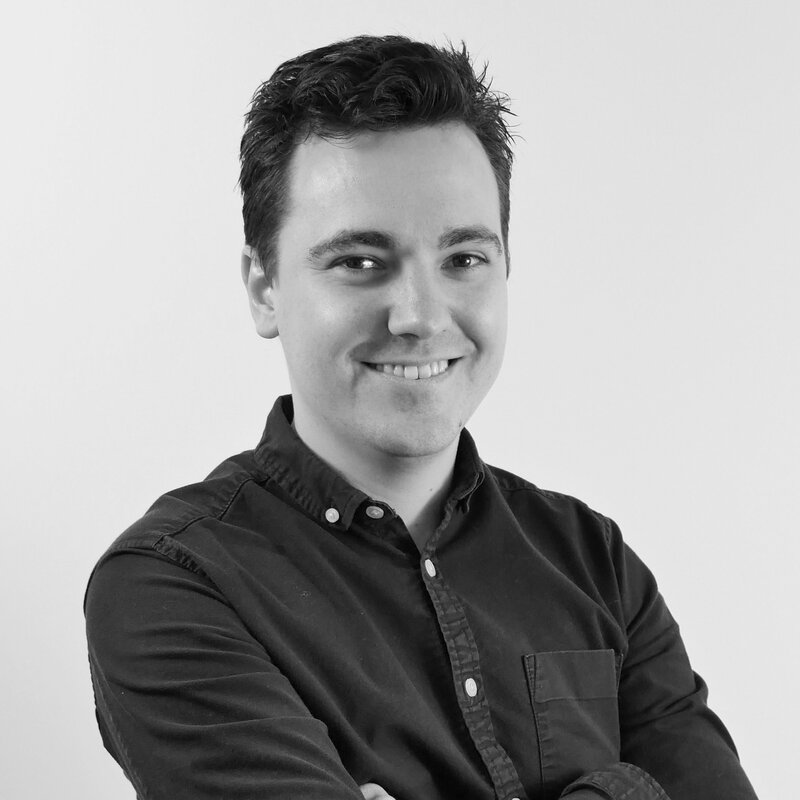 Andrew's tip: Before each stage of my sales process, I like to get an indication of commitment from my leads. Depending what stage of the sales cycle they are in I’ll ask for a little bit of information from them. If they aren’t willing to invest 10-minutes on my request, chances are they aren’t serious about buying anything from me. We'll be presenting on how you can transform your sales process to align with how today's prospects research and buy. Join us at the UK's first ever HUG marketing and sales conference, taking place next week.